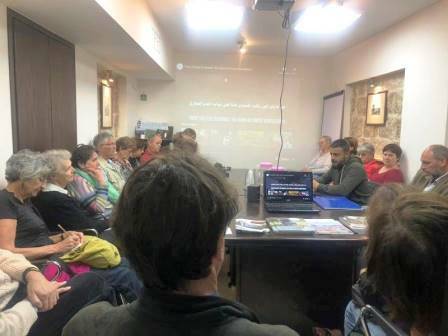 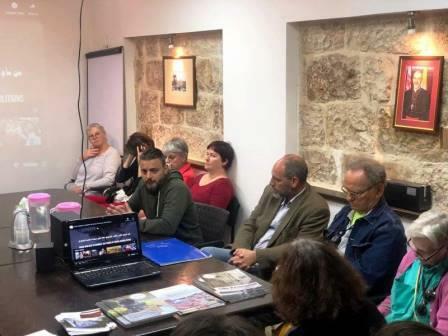 The Society of St. Yves - Catholic Center for Human Rights welcomed a delegation of French human rights activists in coordination with Diwan Voyage for Alternative Tourism. 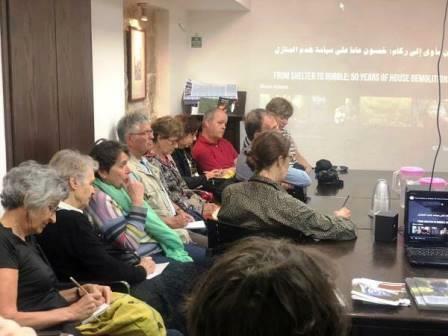 Mr. Raed Halabi, head of the advocacy department briefed the delegation on the current situation and suffering of Palestinians in Jerusalem and the West Bank as a result of the daily Israeli policies and procedures practiced against them, the briefing inlcluded a special focus on house demolition procedures and the new amendments of the existing laws that put Palestinians at a higher risk of being forcibly transferred from their land. 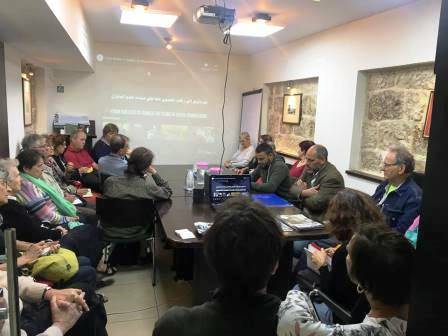 Mr. Halabi also briefed the group about collective punishment measures, which clearly and explicitly violate international humanitarian law. 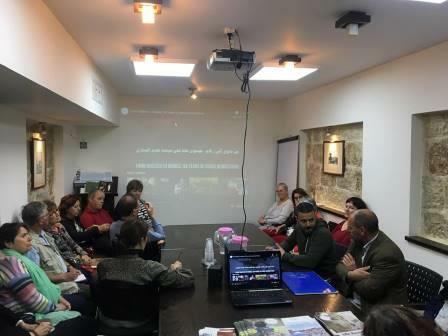 Before the Q&A session, a short film was screened produced by St. Yves about the suffering of Palestinians in the southern West Bank regarding house demolition measures and forced displacement of Palestinians in that area.